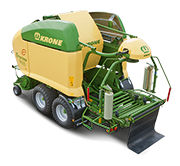 The Krone Comprima CV150XC round baler wrapper combination produces bales from 0.9-1.5m. 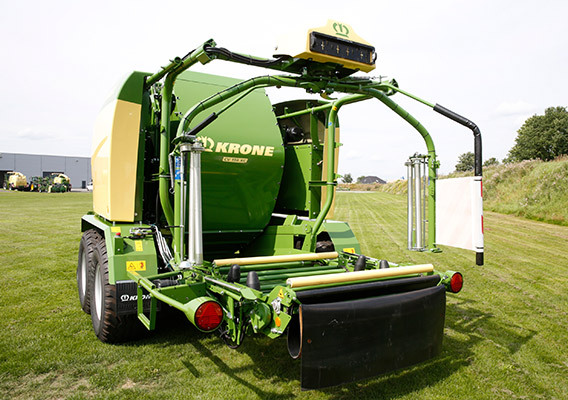 Equipped with a W-pattern 2.15m wide camless pickup, crop feed roller and belt and slat elevator system, the Krone Comprima is for anyone serious about silage, producing upwards of 60 wrapped bales per hour! 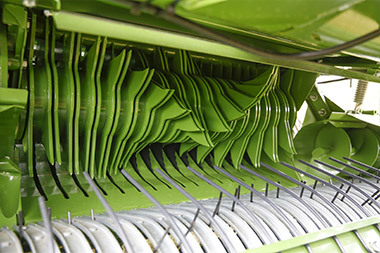 Tines on the Easyflow rotor are arranged in a wavy w-pattern at a spacing of 55mm designed for a constant flow of crop. 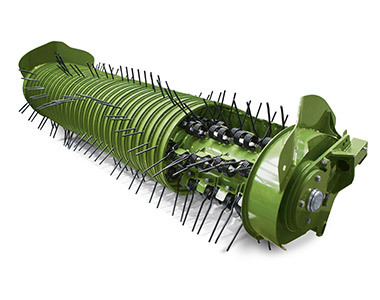 Designed to handle massive volumes of crop, the feed rotor maintains a constant flow of material for the perfect bale. 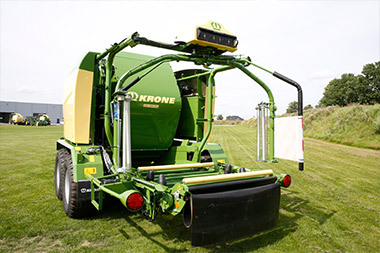 With a large rotor diameter of 530mm the feed rotor provides dual purpose of carting the materials while also pre-compressing. 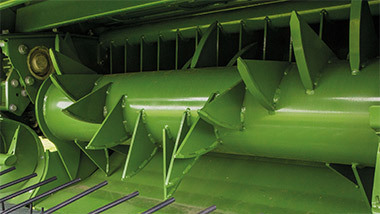 XC Balers come standard with 17 knives, that are narrowly spaced at 64mm, providing easy bale breakup and spreading. Features 3 rows of welded tines in a V formation to provide a continuous cut and help spread the material uniformly across the chamber. 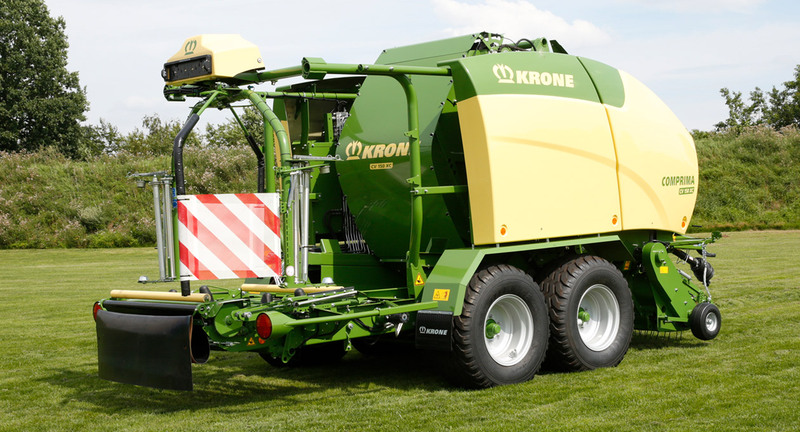 Simple and easy to unblock, equipped with drop floor that lowers so the rotor blockage can be cleared thoroughly. Metal slats and endless rubber belts form the ideal combination to make the highest density bales no matter the crop or conditions. NovoGrip belts come with 30,000 bale/3 year warranty. The slats mesh around the crop without any slippage to the bale or drive of the belts, to provide a positive feed at all times be it wet silage or dry hay/straw. 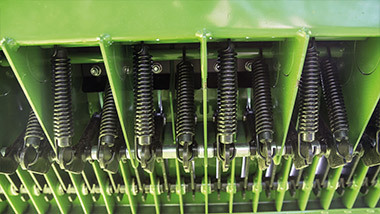 With a 3 stage mechanical soft core adjustment standard you can now determine how dense you want your bale core. This allows you to make the core super tight. 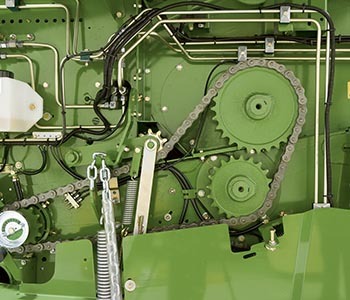 With 1¼” strong drive chains that can withstand the highest of loads and spring loaded chain tensioners that reduce maintenance and enhance service life. Features automatic chain lubrication system that minimises maintenance costs and increases effectiveness. The electric pump supplies oil to the chain drives. With grease points located in protected areas, lubrication is more effective and longer lasting. 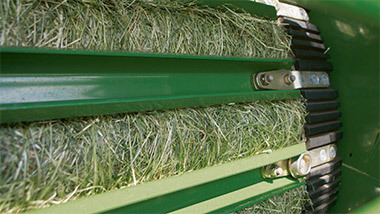 A chain and slat elevator system transfers the bale from the chamber to the wrapping table, resulting in a positive transfer even in the toughest of conditions. The chain and slate elevators are driven by two hydraulic motors to transfer even the heaviest of bales in the toughest of conditions. The chain and slat wrapping table cradles and rotates the bale for smooth wrapping. 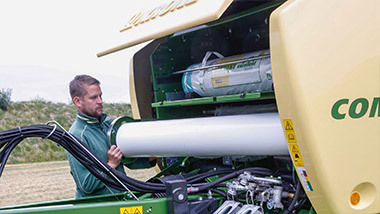 Twin wrapping arms allow the bale to be wrapped twice as fast, boosting productivity. The dispensers give 50-70% film stretch and are easily adjusted on spur gears. After wrapping is complete a pull down arm cuts the film and prepares it for the next bale, ensuring trouble free wrapping. Capacity to store 10 film wraps at a time. 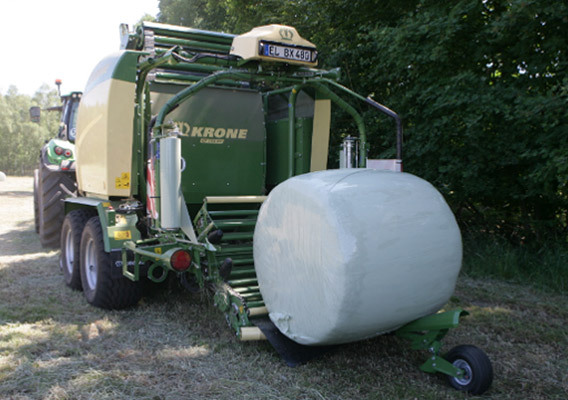 As of 2016 Krone will now have the option of equipping all Comprima balers, new and old, with film wrap. 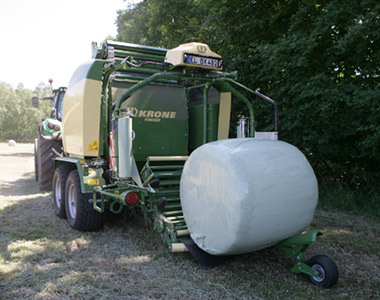 This enables film to be placed onto the circumference of the bale instead of net when baling silage only. 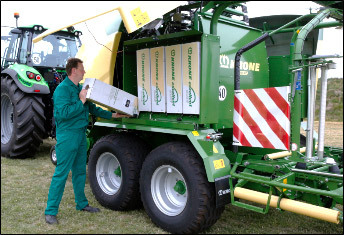 Baler automation stops the tractor and opens and closes the tailgate. Available on selected tractors with TIM systems. Includes hydraulic knife selection. Simply select the full or half number of knives from the tractor and chop the crop to the length required.